Anyway, I use a dry erase board every single day for homeschooling, so this is working out great for me. 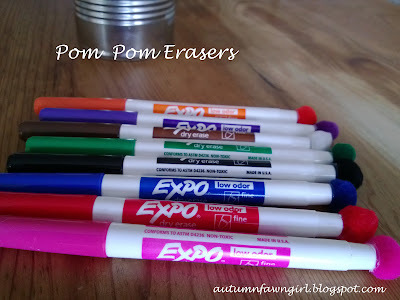 No more using my fingers to erase the date and chores off the board. :) Paper towels will still come in handy for major erasing jobs, but for the little stuff, this is FANTASTIC! 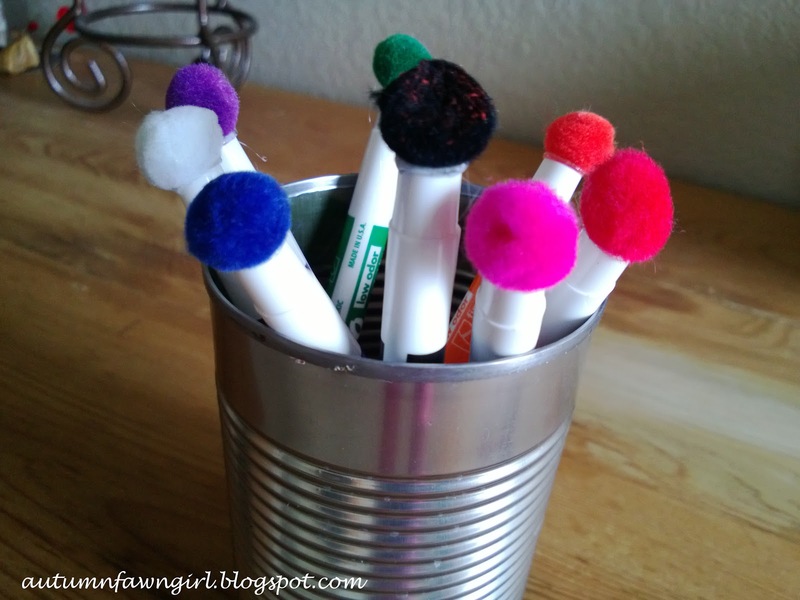 What you do: just hot glue the pom poms to the ends of the dry erase markers. So simple. Took me less than 5 minutes. Now I just need to get some bigger pom poms for the fat dry erase markers, and I'll be set. Pom pom erasers work for me!